The evolution of the smart home has revolutionized our industry over the past five years, and at Hiller, we want to give you the latest technologies that help us serve you well. At the heart of this innovation is Nest, whose thermostats and cameras have driven industry trends and provided security advancements for customers. 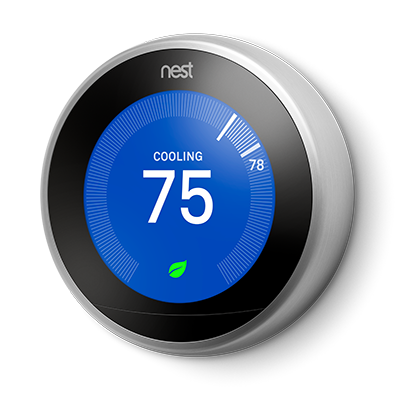 We’re excited to announce that Hiller is partnering with Nest to offer their incredible products to our clients! The new Nest Learning Thermostat programs itself and automatically helps save energy when you're away. And you can control it using your phone, tablet or laptop. The Nest Learning Thermostat is the first thermostat to get ENERGY STAR certified. It learns what temperature you like and builds a schedule around yours. It's easy to save energy with the Nest Learning Thermostat. The Nest Thermostat will allow you to see how much you saved. The Nest Learning Thermostat shows you how much energy you use every day in Energy History and every month in your Home Report. This allows you to see when you use more energy, like on weekends or Monday nights, and how to use less. Detect and stop water leaks in 5 seconds or less. All throughout your home, there are sources for potential water leaks. LeakSmart senses a leak in 5 seconds or less, protecting your from devastating water damage. With a LeakSmart Shut-off Valve installed directly on your water main, it will receive a signal from the sensors to automatically to shut off the water to your house’s entire water supply should a leak arise. Hiller Plumbing, Heating, Cooling & Electrical will professional install, setup and walk you through the system so that you feel comfortable using the system. Simply place LeakSmart Sensors in basements, garages, laundry rooms, bathrooms, around HVAC units, and anywhere there might be water. 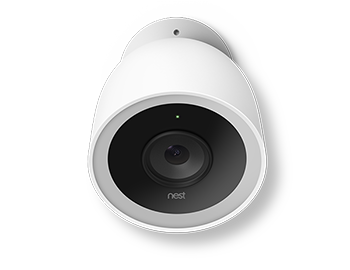 Hiller is proud to sell and install Outdoor Security Camera's from Nest. You deserve to have security, rain or shine. You don’t want a security camera that sleeps on the job, takes a raincheck during a storm, or makes your house look unwelcoming. The Nest Outdoor Security Camera is beautiful, weatherproof, and it plugs into power so you never have to worry about dead batteries. It alerts you when something happens. You can’t always be watching your video feed. The Nest Outdoor Camera looks for motion and listens for loud sounds, like a boom or the crash from a window breaking. Then it can alert you with a photo from the event, and even save some pictures in the Nest app. If you miss an alert, you can always see activity from the last three hours in the Nest app. So you’ll know if there was a lurker on your doorstep and see a photo of him. Nest Hello lets you know who’s there, so you never miss a thing. It replaces your existing wired doorbell and delivers HD video and bright, crisp images, even at night. It’s designed to show you everything at your doorstep – people head to toe or packages on the ground. And with 24/7 streaming, you can check in anytime. Or go back and look at a 3-hour snapshot history to see what happened. HD Talk and Listen reduces ambient noise so visitors come through loud and clear. And when you can’t answer, quick responses let you reply to visitors with different prerecorded messages. It’s time to expect more from your smoke alarm. Nest Protect has been redesigned from the inside out. It has a Split-Spectrum Sensor, tests itself automatically and lasts up to a decade. It is the first home alarm that you can hush from your phone without any extra hardware required. And it tells you what’s wrong and can even alert your phone. Meet Nest Protect. The smoke alarm that other alarms look up to. Nest Protect has a friendly human voice that gives you an early warning. That way you can handle burning toast before it becomes a burning toaster. And when one speaks, they all speak. So the alarm in your bedroom can tell you there’s smoke downstairs.